Abstract: The main objective of the paper is to highlight some dimensions related to a responsible behaviour of organizations and the social perception of these aspects. The underlying idea has started from the need to identify the factors of organizational communication that can inflence the social perception of the dimensions of the social responsibility of organizations. The proposed goals were achieved through the longitudinal analysis of statistical data, obtained from four opinion polls conducted during the period 2002–2015 within the organization chosen for the applied research. The dimensions considered for the investigation were image and reputation of the organization; the level of information; awareness of the contribution to environmental issues; aspects of crisis management (incident resolution); confience in the way organizations work; customer satisfaction. All these aspects, characterized by appropriately defied indicators have been constituted as variables of the customer perception equation. Based on the evolution of the dimensions, various conclusions could be generated that highlight the customer’s perception of the organization and its social responsibility behaviour. Based on these fidings, it is necessary, as a fist step in the development of corporate social responsibility strategies, to conduct a customer perception analysis to assess stakeholder support for a variety of social or environmental issues and ultimately substantiate their decision to engage in those initiatives that matter most to them (key initiatives). Abstract: Purpose – The research focuses on examining which characteristics can raise or diminish board effectiveness in the context of M&A activities of companies.Design/methodology/approach – The nature of the research was quantitative, and the sample was selected purposefully. The data was retrieved from four databases: ThomsonOne, Eventus, Institutional Shareholder Platform (ISS) and Compustat. The final sample consisted of 2613 mergers and acquisitions and was selected by applying the following criteria: both the bidder and the target were US-based companies, the acquirer was a listed company, the acquisition announcement took place over the period 2008 – 2017, the deal value exceeded USD 1 million, the transaction resulted in a control gain over the target company. M&A performance was assessed using cumulative abnormal return (CAR) method, while the board influence was examined using ordinary least square (OLS) regression. Five hypotheses regarding the influence of board independence, gender diversity, board size, CEO duality and type of elections were tested in the research.Findings – Two out of five hypotheses were confirmed in the study. Board independence and board classification increase bidders’ CARs over the deal announcement period.Research limitations/implications: The main limitation is related to the measurement of M&A performance, which is relatively difficult to quantify. Moreover, the method of selection of the sample, especially a higher proportion of companies from certain industries could affect the outcomes and underestimate the impact of gender diversity. Further research could investigate the deals in the long-term perspective and apply different criteria in the sample selection process.Practical implications: The outcome of this study is of importance to acquisitive and non-acquisitive companies by aiding them in finding an optimal board structure, which can effectively monitor and motivate the CEO, leading to profitable decisions concerning not only M&A but all major investments.Originality/value: The study investigates the topic of board effectiveness in the M&A context, which the research coverage is still very limited. The study covers five board characteristics and several control variables to increase the robustness of the results and ensure their correct interpretation. Finally, the sample consists of the most recent data, which enables to draw up-to-date conclusions that consider constantly developing corporate governance law and trends regarding the board structure and composition. Abstract: Technology advancement has seemingly made the world smaller, especially with the existence of tools such as a cell phone. Along with this development, new method of marketing and promotion has been formed. One of these strategies is the use of micro cinema. After suffiient background study on the factors that seemed to affect the effectiveness of micro cinema, these factors were then used to study the response by Taiwanese students and a working group as well as the working group from Mainland China. Responses obtained from all groups were then analyzed using grey relational analysis (GRA) and then further analyzed using the modifid dramaturgy model by Grove et al. (1992). The result obtained can be used to represent the important factors in micro cinema affecting each group. Abstract: The article aims to show selected issues related to safety management system with particular reference to its legal aspects. It is composed of seven parts. The first one outlines the general overview on the problem of aviation safety. In the following passage, substance of safety management in civil aviation is presented. Third part describes key factors determining safety in aviation. In the fourth subtitle, selected issues regarding international regulations concerning safety management systems are discussed with reference to Chicago Convention and Annex 19 which established detailed arrangements for safety management. Subsequently, the author describes the EU legislation related to subject matter as well as major institution in charge of ensuring safety like European Aviation Safety Agency. The las but one subtitle refers to some legal aspects of safety management in civil aviation in Polish law. The summary contains conclusions drawn from the analysis of the both international and polish regulations.Purpose - The paper’s main purpose is to present legal framework of aviation safety management at the level of international, European and polish law. The author also investigates the role of legal regulations in the process of keeping aviation safe with reference to other factors which have a negative influence on aviation safety. Design/Methodology/Approach - A comprehensive analysis of legislation was conducted along with literature review including international publications focused both on the area of management and law. The reference list was selected in such way to show an objective and impartial approach to the subject matter.Findings - The laws regarding safety management in aviation are subject to harmonization but we can observe that the regulations are becoming more and more technical and complex.Research limitations/implications - The limitations of this paper lie in the lack of review of the studies of practical part of the safety management system regulations.Practical implications-The review shows a profound review of legislation which may be used by both managers and lawyer from aviation industry. Moreover, some statistical data is provided in order to emphasize the importance of safety management in the current world.Originality/Value-The article presents analysis carried at three levels of legal regulations, i.e. international, European and local (Polish) which is the best way to show similarities and point out differences. Abstract: This study investigates students’ deviant behaviors as perceived by their teachers in secondary schools with the aim of knowing the factors responsible for such behaviors. The study adopts the quantitative approach to carry out the research. Stratifid and simple random techniques were usednto select 380 participants that participated in the study. An instrument tagged “Factors of Deviant Behaviors and Measures Questionnaire" (FDBMQ) was used to elicit data from the respondents. Partial Least Square (PLS) software was used to assess the psychometric properties of the items contained in the questionnaire, while Statistical Package for Social Sciences (SPSS) was used to do the descriptive analysis. In addition, the analysis of variance (ANOVA) was used to test the three hypotheses formulated for the study. Results of the study revealed three factors (parent, society and school) that contribute to deviant behaviors. Findings also indicate measures that can be used to minimize deviant behaviors. Also, the results of the ANOVA showed a signifiant difference, while Duncan’s Multiple Range Test (DMRT) was used as a post-hoc test to determine the group that contributes to the signifiant difference. The results of the three hypotheses confimed that signifiant difference exists on the basis of religion, age, and educational qualifiations. Based on the fidings of the study, implication for educational managers and future research direction were provided. Abstract: Objective - Due to the increasing share of Ukrainians in the Polish labor market, an analysis concerning the evaluation of trust levels exhibited by Polish and Ukrainian employees of Polish organizations was conducted. The assessment serves to merely outline the issue. Further studies on a more representative sample ought to be continued.Approach - The paper is based upon the review of literature regarding the scope of social capital and results of a pilot study conducted with the use of a questionnaire. The pilot encompassed 84 respondents. The questionnaire was developed on the basis of tools applied by other authors. The study encompassed Polish and Ukrainian employees due to the increasing share of the latter in the Polish labor market.Results - Results indicate that the employees, regardless of their nationality, manifest a rather high trust level. Respondents of both nationalities believe that their colleagues are friendly and eagerly share knowledge. The results indicate that they are aware of their duties and need not be controlled and overseen. However, they openly admit that their organizations do not shy from gossip and criticism, which begs for more scrutiny.Limitations/ research implications - The limitation of the present paper can be seen in the non-representative character of the sample. Moreover, it would be beneficial to expand the questionnaire in order to gain more insight into the issue.Originality/ value - Despite the limitations, the results are interesting due to the increasing number of Ukrainian employees in Polish organizations. Abstract: This paper presents a teaching innovation that has proved successful in stimulating the in-class participation and learning effectiveness of Asian students. The sample population of the research was the teachers and the students of universities in Taiwan and Mainland China. Convenience sampling was used. Grey Relational Analysis (GRA) was used to explore the feedback of learning course. The research results showed that (1) students in Taiwan and Mainland China both have a good confience in attendance and teamwork projects at the beginning of the course and; (2) Taiwanese students are confient in their own creativity and application ability at the beginning of the course and students from Mainland China have a regular habit of reading relevant marketing books. Abstract: The common problems of learners that contribute to absenteeism in school include malaria, cough/catarrh, typhoid, headache and stomach ache. This led to the formulation of national school health policy in Nigeria to promote health services in schools. In view of the foregoing, this study assesses principals’ perception of health services in secondary schools. The study population consists of 551 principals of secondary schools (public and private) in Kwara State, Nigeria. Purposive and convenience sampling techniques were employed to select 20 principals. Instrument tagged “Interview Protocol on Health Services (IPHS)” was used to elicit data from the participants. Data collected was transcribed and analysed via thematic approach. Findings revealed that majority of the schools does not have school clinic to dispense health services to learners. Our fidings also show that most of the schools lack health personnel and equipment. This study concludes that comprehensive health services were not provided for learners. The study recommends that the government should come up with policy statement on school health services that will help to provide quality health services to the learners. Adequate budget should be made by the government for the implementation of the policy. Lastly, the study provides practical and methodological contributions to the body of knowledge in the fild of education. 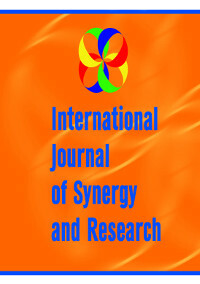 Abstract: Purpose - The aim of the study was to assess the effects of introducing the formula of defined contribution, as analyzed from the perspective of pension adequacy in Poland.Methodology - The main research methods employed included literature studies, theoretical considerations, and an empirical analysis of statistical data.Findings - The Polish pension system may be closer to balancing, but at the expense of lowering the replacement rate, which under the current conditions may even fall below the poverty threshold. Extending the universal retirement age may partly improve the financial situation of future pensioners, especially women.Originality/Value - In conclusion, it was observed that the legislators’ excessive preoccupation with maintaining long-term financial sustainability is not conducive to the achievement of other important goals of the pension system, such as ensuring the adequacy of pensions and preventing elderly people from falling into poverty. In light of the above, further reforms may still be required. Abstract: The most often debated topic among stakeholders in education and the generality of Nigerians today is the issue of decline in the quality of education at all levels (primary, secondary and tertiary institutions). To substantiate the foregoing debate, a new World Bank Report (2018) warns of learning crisis in Nigeria and other developing countries which face moral and economic problems because primary and secondary schools fail to equip students with the right education to succeed in life and that without learning, education would fail to deliver on its promise to eliminate extreme poverty and create shared opportunity and prosperity for all. Despite the establishment of Universal Basic Education (UBE) in 1999, which is saddled with the responsibility of ensuring the acquisition of the appropriate levels of literacy, manipulative and life skills as well as the ethical, moral and civic values needed for laying the foundation for lifelong learning for children, have continued to be a mirage. In view of the foregoing, this study examined the factors responsible for schooling without learning in primary and junior secondary schools. Those factors include insuffiient budget allocation to education, lack of adequate infrastructure, lack of qualified teachers and poor remuneration package, and corruption. In addressing the aforementioned factors, this study used World Bank’s (2018) solutions which have four steps. The fist step is to find the truth from facts; the second step is to assess the learning so that it become a measurable goal; the third step is to make schools work for all children and the fourth step is to mobilize everyone who has stake in learning. In addition, recommendations were provided to ensure that the rising case of schooling without learning is eradicated.